This beautiful camera and it's accessories belonged to Charles Lee of Mountain Park. 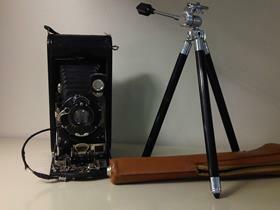 Many of the first photographs of the area were taken using this camera. Not currently on display, the camera was viewable during the annual Basement Tour that the Edson and District Historical Society hosted in April. The Edson and District Historical Society's talk on Prince Leo Galitzine and Princess Marguerite Galitzine on April 30th brought 60 people into the Galloway to share memories about the royal couple, look at documents signed by the Prince and to watch the classic motion picture 'The Chocolate Solider'. If you have more information on the Prince or would like to learn more, please come to the museum and talk to staff about Edson's Prince Leo Galitizine. 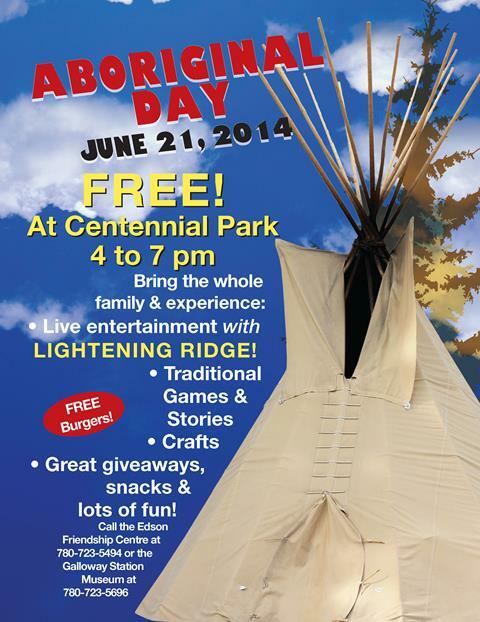 This Canada Day come and enjoy the many sights, sounds and tastes that Edson has to offer that make it truly unique. As part of the Edson and District Historical Society's monthly event series, Centennial Park will play host to The Taste of Edson festival. Come savour the artistic and culinary flavours of our community throughout the day and into the evening. Then, once you've had your fill, sit back and enjoy the fireworks as they light up the night sky. Take a look into the life and accomplishments of the Coal Branch's very own film maker, William Shewchuk - better know as 'Flash'. A pioneer in Alberta's 3D motion picure production, Flash made his home in Cadomin, recruiting locals and out-of-towners alike to create his movies. Join us in August as we watch a 17 minute documentary about this interesting man and screen one of the films that he shot in the area. Open to ages 12 and under, artists will have the opportunity to have their artwork seen (and potentially worn!) by thousands of people from across the world at the Galloway Station Museum and Travel Centre. 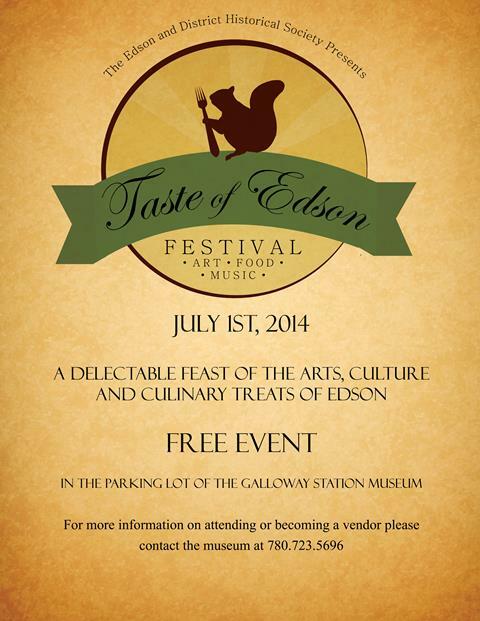 1st Place: $100 Edson Bucks and year family pass to Galloway Station Museum. 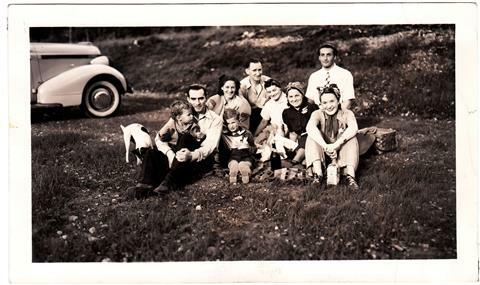 2nd Place: $50 Edson Bucks and year family pass to Galloway Station Museum. 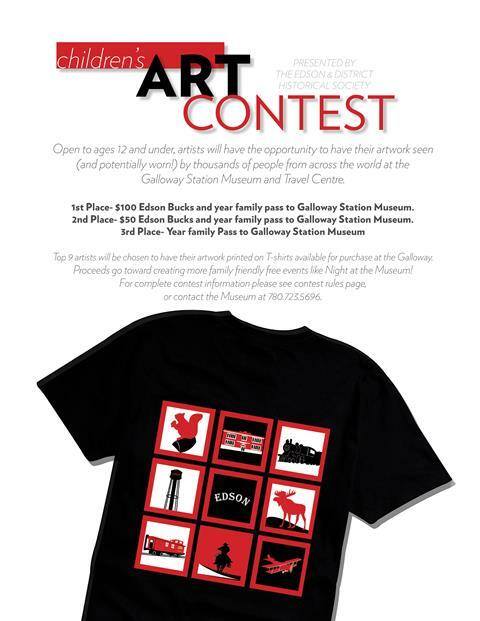 Top 9 artists will be chosen to have their artwork printed on T-shirts available for purchase at the Galloway. For complete contest information please visit us on Facebook or contact the Museum at 780.723.5696. 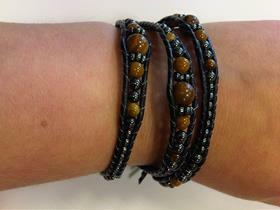 These beautiful bracelets come in single, double, triple and quadruple wrap options. Hand crafted out of leather and semi-precious stones, Marlene VonGaza has knocked this one out of the park. Stop by the gift shop and try them on for size. 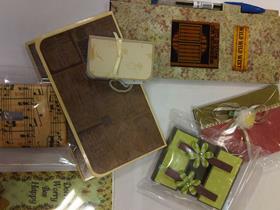 Also new to the gift shop are the wonderful paperworks of Leanne Mainville. Cute and unique, these handmade items make lovely gifts.